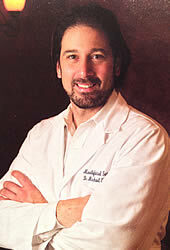 Dr. Michael Costello is a native of Northern New Jersey. He was born at Passaic General Hospital and was raised locally in Lodi. He spent his formative years attending Bergen Catholic High School, Seton Hall University, and the University of Medicine and Dentistry of New Jersey where he graduated in the top percentile of his class and was recognized in a prestigious national honor society. He then embarked on his surgical career at Lincoln Medical Center/Cornell Medical Center and Mount Sinai Medical Center in Manhattan. During his five year residency, he received extensive training in all facets of Oral & Maxillofacial Surgery including major/minor bone grafting, reconstructive maxillofacial surgery, trauma surgery, TMJ surgery, implantology, pathology, sedation/anesthesia and dentoalveolar surgery. Additionally, he authored original studies which were accepted for publication in the Journal of Oral & Maxillofacial Surgery. Dr. Costello is a Diplomate of the American Board of Oral & Maxillofacial Surgery and is Board Certified in Oral & Maxillofacial Surgery and Dental Anesthesia. 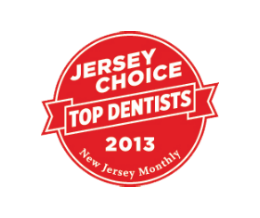 He is a member of the New Jersey and New York State Societies of Oral & Maxillofacial Surgery. 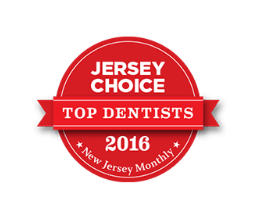 In 2006, Dr. Costello was selected to serve as an International Delegate to China by the President of the American Association of Oral & Maxillofacial Surgeons and has been elected by his peers as one of New Jersey Monthly’s Top Dentists by the National Consumer Research Council 2010-2018. Following his five year residency he was invited to join his Attending’s practice in Midtown Manhattan. Working closely with the late William “Bill” Weber, he provided sophisticated surgical care to prominent patients daily. Today, Dr. Costello enjoys utilizing his wealth of experience and expertise to offer patients from New York, New Jersey and Pennsylvania access to expert surgical care. After practicing in Manhattan for several years, Dr. Costello returned to New Jersey to launch his practices first in Maywood and Franklin Lakes and, most recently, in Wayne. Dr. Costello’s centers have been designed with patient safety and comfort in mind. The well-educated staff has been carefully selected and trained in patient care and surgical management. 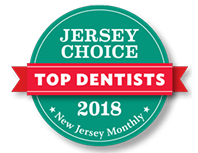 Dr. Costello works closely with each patient’s dentist or dental specialist to provide the most appropriate, cost effective, and quality-oriented treatment. 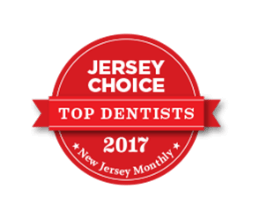 In his state-of-the-art facilities and affiliate hospitals, Dr. Costello provides services ranging from dental extractions to advanced reconstructive procedures of the jaws and face. These include removal of wisdom teeth, dental implants, sinus lifts, bone grafts, orthodontic exposure and bond, surgical root canal (apicoectomy), biopsy of oral and facial surgical pathology, temporomandibular joint therapy and arthroscopic surgery, repair of facial fractures, corrective/reconstructive jaw surgery, facial implants, Botox Therapeutic for migraines and Botox Cosmetic for removal of undesirable wrinkles, dermal fillers, microdermabrasion and chemical peels. Dr. Costello has provided surgical outreach to local organizations. He currently supports local and national charitable foundations which support breast and pediatric cancer research. He is also involved with local shelters for abused women and children and those that provide food to the hungry. 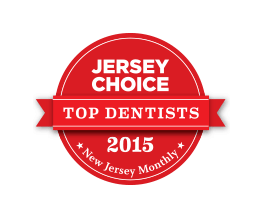 Dr. Michael A. Costello has practiced Oral & Maxillofacial Surgery for nearly two decades. He completed his training at Cornell-Weill Lincoln Medical and Mental Health Center and Mount Sinai Medical Center in New York City and is currently on Staff at hospitals in Bergen County.